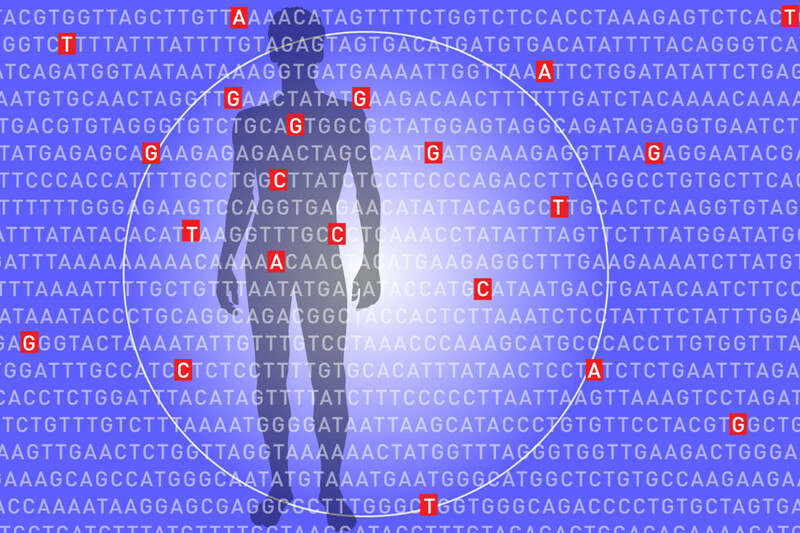 We see a future when the routine use of precision medicine will prevent disease. 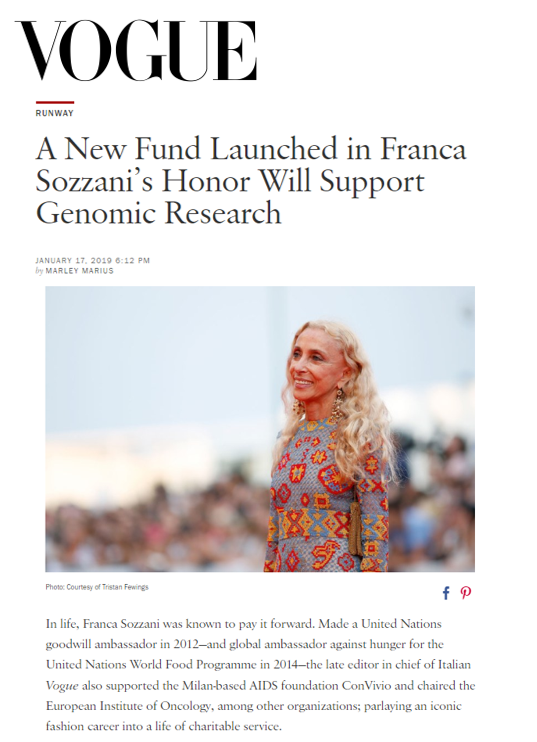 The Franca Sozzani Fund for Preventive Genomics was established in 2018 to help prevent diseases by leveraging genomic information and cutting-edge precision medicine. By anticipating the risk of disease and intervening before it occurs, we have the opportunity to improve outcomes for people around the world. The key to this approach lies within our DNA. Scientific research is unraveling the mysteries of DNA and explaining what our unique blueprints mean for our health. 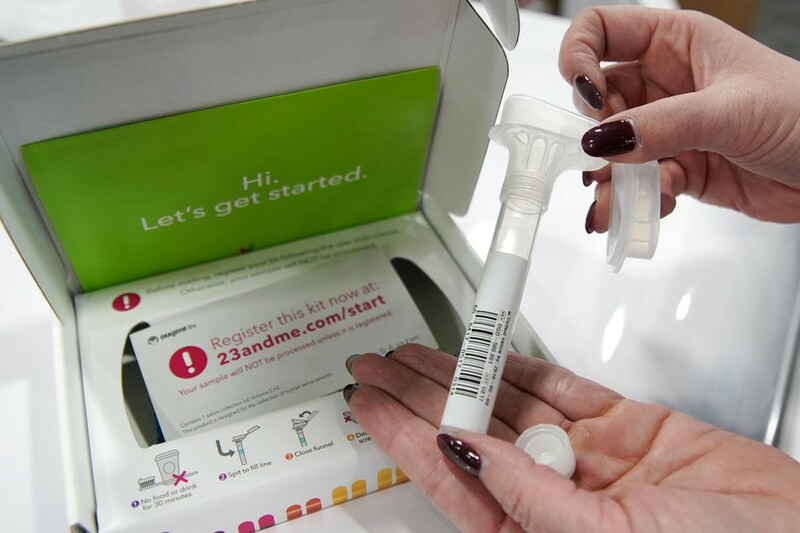 This field – called genomic medicine – is leading a medical revolution to push healthcare from reactive models of care, to predictive, preventive and personalized models of health. To make this revolution possible, it’s essential to invest in the research and people at the forefront of scientific discovery. 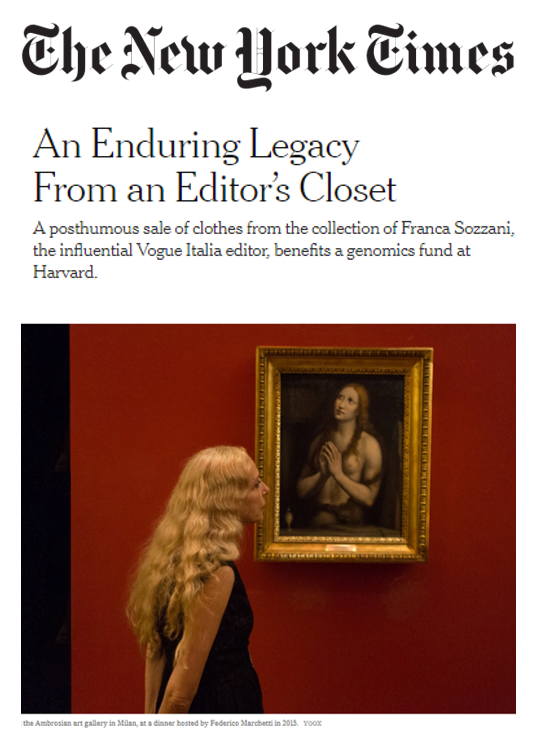 That’s the heart of the Franca Sozzani Fund. 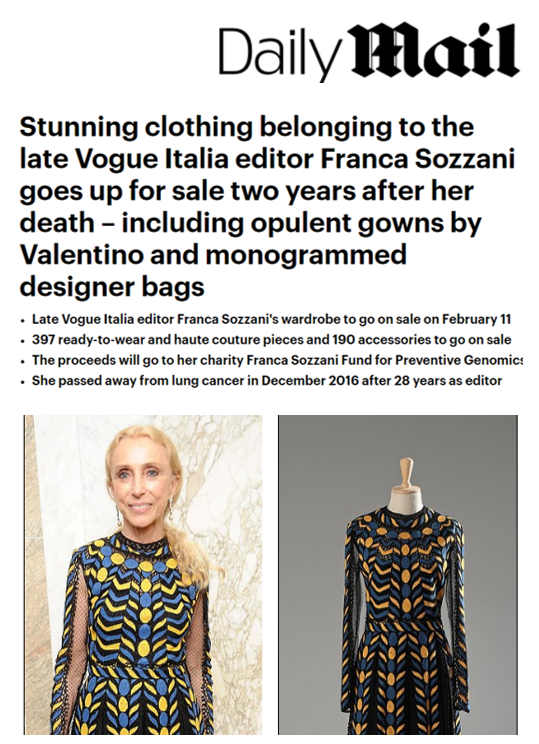 Established by acclaimed director and photographer Francesco Carrozzini, the Fund honors his mother, the late Franca Sozzani, who was Editor in Chief of Italian Vogue for 28 years and a creative, pioneering woman, who revolutionized the fashion world and challenged us to do the same in medicine. 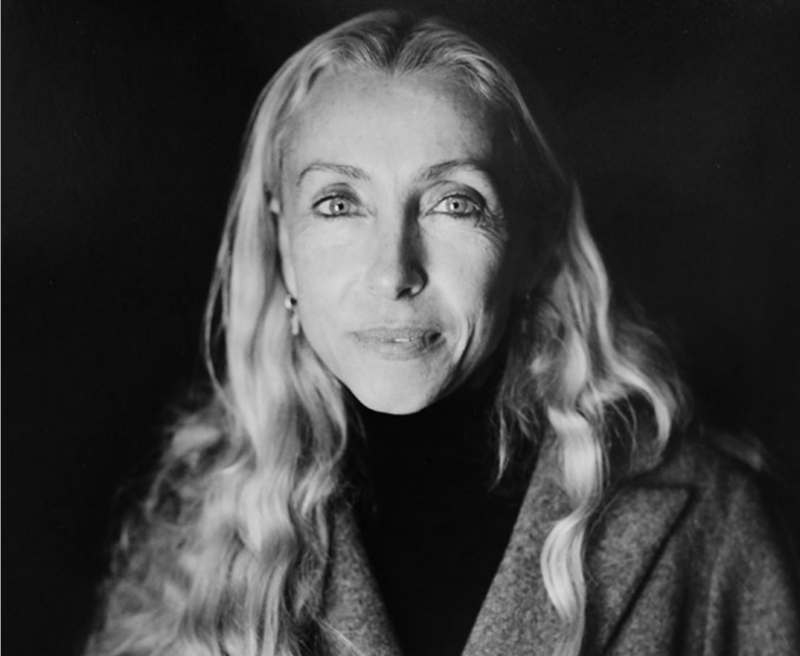 Within three years, our hope is that the Fund will be used to endow The Franca Sozzani Chair at Harvard Medical School, which will enable us to continue to support promising early career faculty and investigators, test assumptions in genomic medicine, model new approaches to care, and explore ways for patients, physicians and consumers to use genomic information for improved health and longevity. 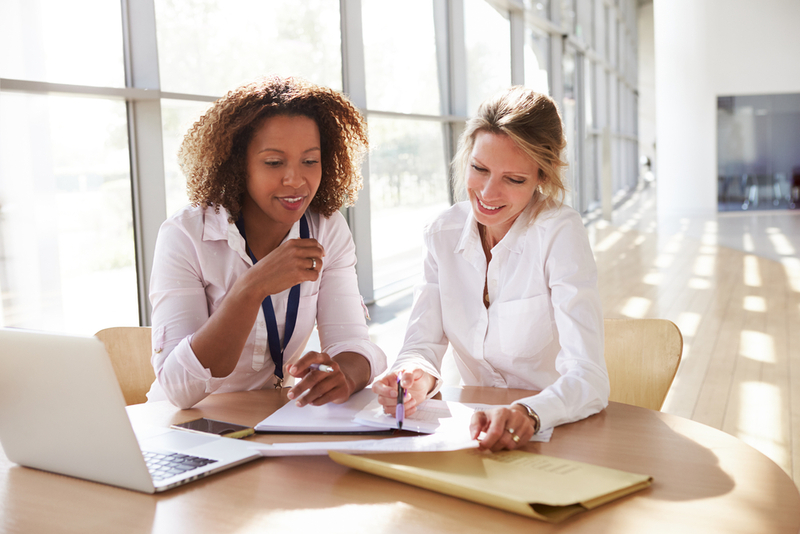 With your support, we can usher in the future of medicine. Email or call Courtney Kronenthal, ckronenthal@bwh.harvard.edu or 617-733-7626 with questions. 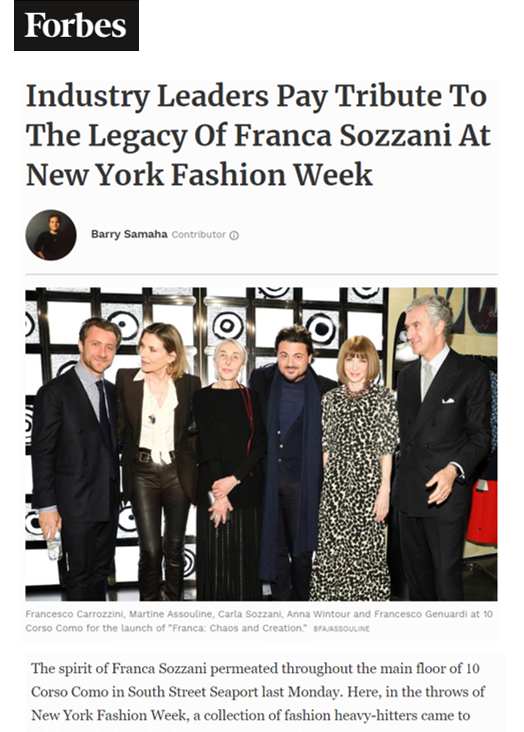 Click to see photos from the February 2019 launch of the Fund, book and sale of Franca’s wardrobe. In addition to our generous philanthropic donors, we are grateful to the following companies for supporting the Franca Fund through in-kind donations: Assouline, BPCM, Veritas, YOOX.